But they did not address the new solar export rate. The Arizona Corporation Commission (ACC) approved Tucson Electric Power’s proposed rate plan on Wednesday, which includes several new pricing options and monthly fees for rooftop solar customers. This is the first utility rate case to advance since regulators voted to eliminate retail-rate net metering in December -- following a three-year value-of-solar proceeding. The new Tucson Electric Power (TEP) plan requires residential and small commercial customers to pay a monthly fee to cover the costs of a second electric meter used to measure solar output, according to a company statement. Residential customers are required to pay $2.05 per month, while commercial customers are required to pay an additional 35 cents. Existing solar customers are exempt from the fees. The new charges will make distributed solar only moderately less attractive, but they could soon be coupled with more significant changes. The ACC’s December decision replaced the retail-rate credit solar customers receive for excess power they produce, with two new valuation methodologies based on the lower wholesale rates utilities pay for solar from large-scale power plants. Regulators determined that both methods would be established in utility rate cases and updated on an annual basis. Arizona regulators did not address the solar export rate in TEP’s case, however. The utility noted that additional changes for solar customers, including revised compensation rates, are expected later this year. Commissioner Bob Stump, whose term ended in December, said the new valuation methods will ensure “all ratepayers will be treated fairly and that technological innovation will continue to thrive.” Commissioner Bob Burns offered a dissenting opinion, noting that a broader range of distributed solar benefits should have been taken into account. Rooftop solar customers aren’t the only ones who will see revised rates this year. The average residential TEP customer will see their monthly bill increase by about $8.50 compared to rates paid in November 2015, when TEP first submitted its rate request. “The increase covers the cost of new energy resources, upgraded distribution networks and other necessary upgrades to secure and expand TEP’s energy grid,” according to a press release. In addition, when the rate changes take effect on or before March 1, residential and small commercial customers will have the option to choose from new Time-of-Use (TOU), Peak Demand and Demand TOU plans as alternatives to their existing rate. The new plans will reduce the basic service charge from $13 to $10, and enable customers to reduce their bills by limiting their electric use during peak periods. Last year, Arizona regulators rejected a proposal from TEP’s sister utility, UniSource Energy Services, to impose mandatory demand charges for residential customers. The utility’s lack of experience implementing demand rates was cited as one of the top stakeholder concerns. TEP’s new voluntary rates may offer a response to that critique, and could pave the way for a broader rollout of demand-based rates in TEP territory in the future. 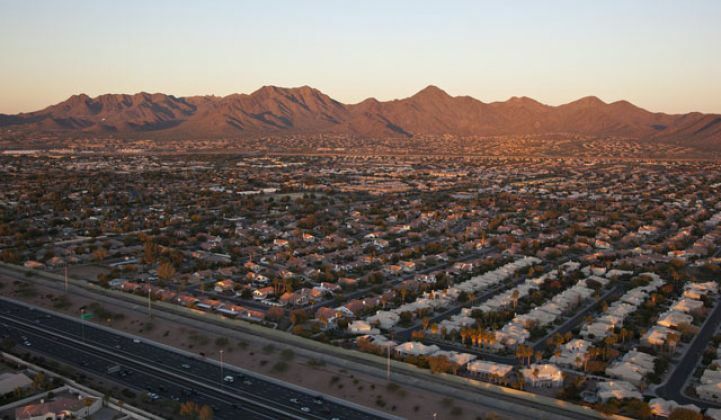 Arizona’s largest utility, Arizona Public Service (APS), already offers a voluntary demand rate, with roughly 120,000 customers currently subscribed. Last summer, APS submitted a request to implement mandatory demand rates for residential customers, as well as reduce compensation for rooftop solar customers. The ACC is also expected to rule on the APS case this year.